South Africa's unemployment rate increased to 27.5% at the end of third quarter of 2018, Stats SA announced on Tuesday morning. The unemployment rate at the end of the second quarter of 2018 was 27.2%, meaning the rate has increased by 0.3%. 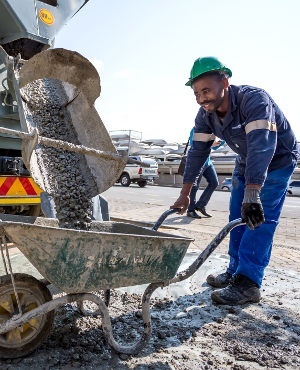 According to the Quarterly Labour Force Survey for the third quarter, there are 16.4 million employed people and 6.2 million unemployed people between the ages of 15 and 64 years in South Africa. The third quarter of the year covers the months of July, August and September. According to Stats SA data, when comparing employment at the end of the third quarter of 2017 to the third quarter of 2018, mining had shown the biggest percentage decrease. While there were 446 000 people employed in the SA mining industry in the third quarter of 2017, this had fallen to 406 000 in the most recent data, a decrease of 8.9%. On an annual quarter-on-quarter basis, jobs in the construction industry increased by over 10%, from 1.36 million, to 1.5 million. Ahead of the release of the figures, economists had expected the rate to remain stable. "We don’t anticipate much improvement in the unemployment rate, given depressed business conditions. We are also not forecasting a material deterioration, and expect the number - 27.2% - to remain more or less stable," said FNB. Youth unemployment at above 50%. The unemployment rate for South Africans between the ages of 15 and 24 was 52.8%. The province with the lowest unemployment rate was Limpopo, at 18.9%, followed by the Western Cape at 20.4% and KwaZulu-Natal at 23%. The Free State had the highest provincial unemployment rate at 36.3%.